There’s a new report out today from the Environmental Integrity Project regarding H.R. 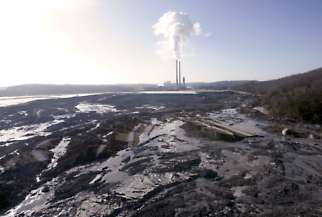 2273, the bill Rep. David McKinley authored to prevent the Obama EPA from putting in place national standards for the handling and disposal of toxic coal ash. HR 2273, scheduled for a vote in the U.S. House on Friday, would authorize construction of new coal ash sites designed to leak up to five times more arsenic into groundwater than current law allows, according to a new analysis by The Environmental Integrity Project (EIP). H.R. 2273 appears to eventually require cleanup if ash dumps cause arsenic and other pollutants to exceed the Safe Drinking Water Act standards in effect today, though without any real deadlines to give that requirement teeth. But the bill effectively wipes out these protections by allowing states to waive any standards – including the obligation to clean up badly polluted drinking water – by simply deciding they are “not needed” for coal ash management. The bill also requires EPA to defer to those judgments, which means that bad state decisions cannot be reversed, even if they jeopardize public health. So, Rep. McKinley wants to put decisions about how toxic coal ash could impact public health in the hands of, for example, the West Virginia Department of Environmental Protection — whose secretary was just saying yesterday is not an expert in public health. August 24, 2011 by Ken Ward Jr. It is a sad day indeed when a congressman such as John Conyers attacks our State, our people, and a resource that not only has powered our Country but must also continue to play a significant role in the economic health of our economy. There’s a big campaign going on about how you clean coal and we want to examine that as critically and fairly as we can, but here’s the problem: I’ve been to West Virginia, and that’s about all they’ve got there. We’ve got to work out a situation in one state of the union, there may be others, in which we come up with alternative ways of creating full employment without just putting everybody out of work. He called for the industry to be shut down in the state and for those who rely on coal jobs there to find alternative employment. If there’s no such thing as clean coal and coal is a major polluter then yes. We posted a news story about this matter earlier this evening on the Gazette’s website here. But frankly, I’m still trying to figure out what the big deal in some ways. 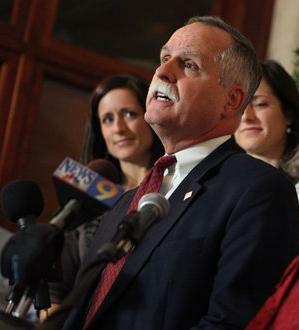 The bulk of Rep. Conyer’s point seems to be that West Virginia needs a more diverse economy. Anybody really disagree with that? Now let’s see, more than 21,000 West Virginia coal miners have died in on-the-job accidents in West Virginia. Untold thousands more died from black lung disease. Just a couple of weeks ago, none other than Cecil Roberts was attacking the West Virginia State Museum because it fails to adequately depict his union’s history of “struggle and oppression” for fair treatment by the state’s coal industry. 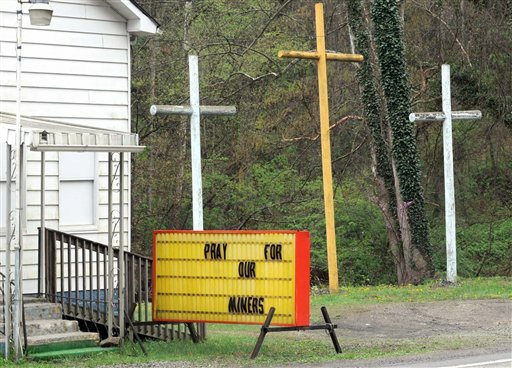 It’s been just 15 months since 29 West Virginia coal miners died in the worst U.S. coal-mining disaster in a generation. There’s a growing consensus among scientists that mountaintop removal coal mining is causing pervasive and irreversible impacts on the Appalachian environment — and WVU’s Michael Hendryx and his colleagues have published paper after paper outlining very troubling associations between increased disease and living near mountaintop removal operations. There’s really no question at all that burning coal causes and contributes to thousands of premature deaths and various illnesses every year, imposing huge hidden costs on not just human lives but our economy. Despite industry-backed reports that tout the coal industry’s economic contributions to our state, other more independent research shows coal’s costs to state government are actually more than its contributions. And, of course, there’s the biggest problem of all: Coal’s huge contributions to global warming. West Virginia political leaders talk a good game about “clean coal,” but none of them were willing to support legislation or regulation to require cuts in carbon dioxide from power plants — thus prompting utilities like American Electric Power to see no reason to move forward with perfecting and deploying carbon capture and storage technology that might actually keep coal viable in a carbon-constrained world. But lots of elected officials, not to mention activists, have called for shutting down the coal industry. 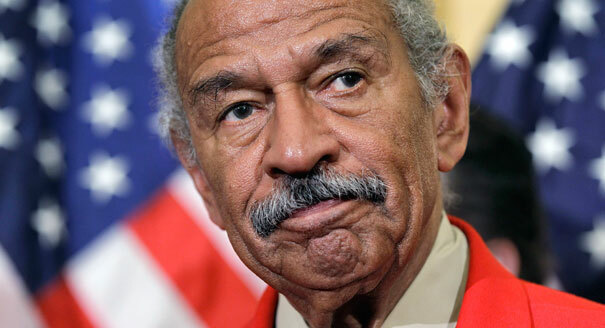 Rep. Conyers is among the few that seem to make a major point of talking about what might happen to the men and women who rely on the industry to put food on their tables. Don’t forget that most projections are calling for a major reduction in Central Appalachian coal production by the end of this decade — regardless of what regulators do about air pollution, climate change or mountaintop removal. Isn’t a welcome change for an out-of-state politician who criticizes the coal industry to talk in the same speech — several times, apparently — about the need to do something to improve coalfield economies, to provide jobs in more than one industry? And anyway, not for nothing, but where were all of these press releases when the coal industry’s lawyers said we were all a bunch of inbred hillbillies? July 13, 2011 by Ken Ward Jr. UPDATED: The legislation passed this evening on a vote of 239-184. When last we left my good friend Rep. Nick J. Rahall, his staff was dodging questions about the growing body of science that shows serious environmental damage and public health impacts in his district from mountaintop removal coal mining. To amend the Federal Water Pollution Control Act to preserve the authority of each State to make determinations relating to the State’s water quality standards, and for other purposes. The Clean Water Act grants states the primary responsibility for protecting water quality. However, recent actions by the EPA upset and supplant this partnership with arbitrary federal power that is being exercised even over states with effective delegated regulatory programs. Individuals and firms that meet the requirements of, and obtain permits from, state regulators ought not to be left exposed to the enforcement whim and caprice of the federal government. Beyond the recent specific examples, it noteworthy that the federal-state partnership for implementing environmental laws has not always been harmonious. There is ample history of friction between the desire of states to implement national programs flexibly according to their own priorities, versus EPA’s responsibility to oversee national programs and account for federal funds provided for states, as well as compliance of state programs with the goals and objectives of federal laws. While Congress has regularly registered concerns with regulatory initiatives of EPA and other federal agencies and sometimes considers legislative proposals to alter or de-fund an agency’s ability to implement a particular regulatory program, it is highly unusual for Congress to advance legislation that would broadly alter the federal-state partnership in order to address dissatisfaction with specific actions by EPA or another agency. We’ve just learned that Scott Howard, the miner whose safety advocacy was the subject of Arch Coal’s controversial testimony has been fired by the company. Here’s a copy of his new discrimination complaint. 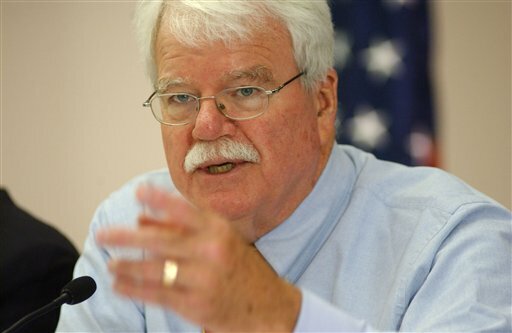 U.S. Reps. George Miller (D-CA) and Lynn Woolsey (D-CA) demanded clarification today of ‘questionable’ testimony at odds with judicial findings given by a coal company representative called by the Education and the Workforce Committee Republicans. In a May 4 mine safety hearing, Anthony Bumbico, a representative from Arch Coal testifying on behalf of the National Mining Association, provided contradictory testimony to committee members on a case of Arch Coal unlawfully retaliating against an employee who blew the whistle on dangerous conditions in a mine. 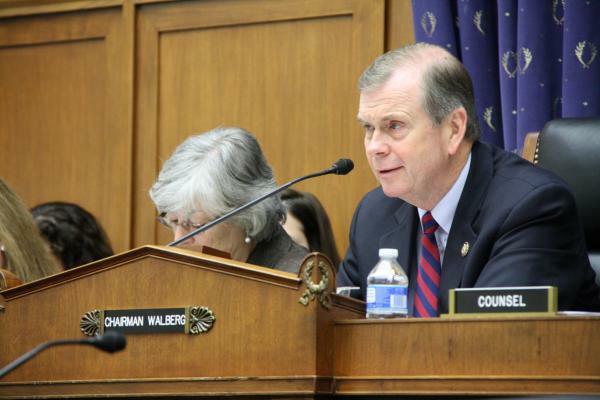 Miller and Woolsey demanded that Chairman Tim Walberg (R-MI) have Bumbico clarify his comments for the record. “Witnesses before the Committee have the duty to provide truthful testimony, and the Committee must take care to ensure the integrity of its proceedings and the accuracy of the record we collect. For these reasons, Mr. Bumbico’s testimony, on behalf of both Arch Coal and the National Mining Association, is of concern,” Miller and Woolsey wrote. Miller and Woolsey reintroduced mine safety legislation that, among other things, would strengthen protections for workers and their families who blow the whistle on dangerous conditions. House hearing: Let the EPA bashing begin! May 5, 2011 by Ken Ward Jr. Right now, the House Committee on Transportation and Infrastructure‘s Subcommittee on Water Resources and Environment is starting the first of two days of hearings scheduled to bash the U.S. Environmental Protection Agency‘s efforts to reduce the dramatic impacts of mountaintop removal coal-mining on the Appalachian environment and coalfield communities. 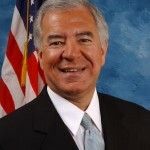 The hearing will be pretty predictable, but one thing to watch for is how far Rep. Nick J. Rahall, the ranking Democrat, goes in ignoring the negative impacts on his district from coal mining in his effort to out pro-coal the Republians. And it will be fun to see if the National Mining Association is able to point to some actual peer-reviewed scientific research that contradicts EPA’s concerns about the impacts of coal-mining on water quality across the region. One of the mining industry’s star witnesses will be Michael B. Gardner, general counsel of a company called Oxford Resources Partners, which operates surface mines in Ohio. In his prepared testimony, Gardner brags about his company’s “dedicated, non-union workforce” and complains bitterly about how EPA officials have handled his company’s applications for Clean Water Act Section 404 “dredge-and-fill” permits. But a couple things jumped out at me about his testimony. First, while Gardner objects that EPA has not operated in an open and transparent manner with his company, it seems that Oxford hasn’t had any trouble — thanks to help from its local politicians — in scheduling fairly high-level meetings with EPA staffers about specific permit issues. Second, it’s worth noting that EPA in the end decided to do a more thorough review of only four of the eight Oxford permits it considered for potential placement on EPA’s list for Enhanced Coordinated Procedures. Next, two of those permits have actually been issued. And the other two were withdrawn by the company — not rejected by EPA (see here, here, here and here). Stay tuned … You can watch the hearing live by going to this link. If everybody is collaborating, why aren’t real-time coal-dust explosibility meters in the mines yet? Those of us outside of Washington, D.C., still haven’t gotten to see or hear the complete House committee hearing on mine safety. Some sort of computer problem knocked out their webcast, but I’m told they plan to post the video later. Let’s ensure federal policies hold bad actors accountable, and partner with the good actors on behalf of worker safety. An example of this kind of collaborative effort is the successful development and deployment of coal dust explosibility meters, or CDEM. The device, developed by the federal National Institute for Occupational Safety and Health, takes real time samples of rock dust to help determine its combustibility. Previously, MSHA laboratories could take weeks to examine a rock dust sample. Now miners have a useful tool on site that has immediately enhanced safety. Huh? Successful development and deployment of coal dust explosibility meters? What is he talking about? Last time I checked, when we did this story and this blog post last fall, these potentially life-saving devices had absolutely not been widely deployed in our nation’s coal industry. May 4, 2011 by Ken Ward Jr.
Bumbico encouraged the Mine Safety and Health Administration (MSHA) to adopt a program of mine safety modeled on the very successful Voluntary Protection Program (VPP) administered by the Occupation Safety and Health Administration (OSHA), which promotes a cooperative approach to workplace safety. Employee support and involvement is a prerequisite for acceptance into the VPP. “Performance structures based on risk-based approaches that establish higher standards, engage employees and encourage cooperation simply make sense. If MSHA were to adopt a VPP-type process it would move the industry in that direction,” Bumbico concluded. A VPP designation exempts the worksite from programmed OSHA inspections, and if an inspection is conducted—because of a complaint, referral or fatality/catastrophe—-the employer is not cited for violations if they are promptly corrected. This is the sort of thing that the mining industry has been pushing for years … something to either do away with required quarterly inspections or to created a program for “focused inspections” of only the mines with the worst previous safety performance. The National Mining Association, oddly enough, pushed for this previously just two months after the Sago Mine disaster, back in March 2006. And basically eliminating MSHA — which provides workers with protections much greater than OSHA — was a major plank of the Republican-controlled Congress (with help from the Heritage Foundation and the Cato Institute) back in the mid-1990s. The idea was also a pet project for Bush administration MSHA chief Dave Lauriski, who went so far as to hire a consultant to try to come up with a way to implement “focused inspections” instead required quarterly mine examinations. It’s worth remembering that most coal-mine deaths are the result of mine operators violating long-established safety laws and regulations. And the OSHA VPP program is hardly a model of success, at least according to two critical reports by the U.S. Government Accountability Office (see here and here). For example, the program hasn’t been very helpful to workers at the U.S. Postal Service, which OSHA ended up targeting for enforcement actions focused on electrical hazards, or to workers at Valero Energy’s Texas City, TX refinery, where one employee died and two others were injured in a 2009 explosion. Will Rep. Rahall make sure all sides are heard in House hearings about Obama’s coal-mining policies? May 3, 2011 by Ken Ward Jr. The Republican leadership in the House of Representatives has set up a two-day series of hearings this week and next to take more shots at the Obama administration and its EPA Administrator, Lisa P. Jackson. 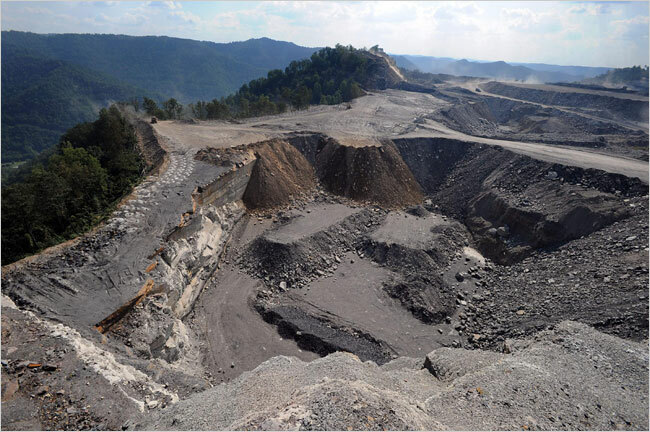 Hearings on “EPA Mining Policies: Assault on Appalachian Jobs” are set for this Thursday and next Wednesday before the House Committee on Transportation and Infrastructure. Committee staff have laid out their agenda for the meeting in this briefing paper. The witness list that’s been published so far is a pretty-one sided affair, with a bunch of industry lobbyists and state regulators set to bash EPA’s efforts to reduce the environmental impacts of surface coal mining in Appalachia. 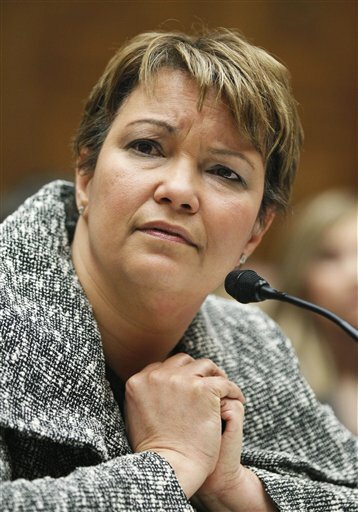 On the other side, there appears to be just one witness, Lisa Jackson. Republicans run the committee, and they haven’t invited any of the scientists who have published major peer-reviewed studies on mountaintop removal or anyone from the citizen groups who oppose the practice and generally support what EPA has been doing. They don’t even appear to have invited an actual coal miner or anyone from the United Mine Workers union. With a setup like this, it doesn’t sound like the hearings will accomplish much more than the House Natural Resources Committee’s hearing last week attacking the U.S. Office of Surface Mining, Reclamation and Enforcement. But at least that hearing included not just OSMRE Director Joe Pizarchik, but also Joe Lovett from the Appalachian Center for the Economy and the Environment — to balance out pro-coal witnesses from International Coal Group and two coal-state regulators who were generally favorable to the industry’s views on the Obama administration. 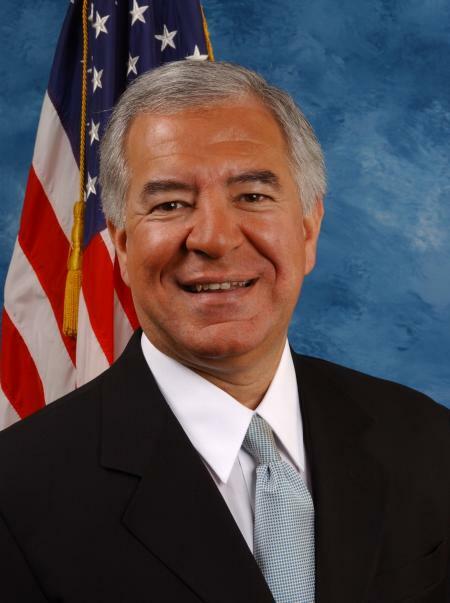 West Virginia Rep. Nick J. Rahall is the ranking Democrat on the Transportation and Infrastructure Committee. We’ve explained here many times that Rep. Rahall has shown little interest in doing anything to reduce the widespread and devastating impacts mountaintop removal is having on the environment and communities in his district (see here, here and here). 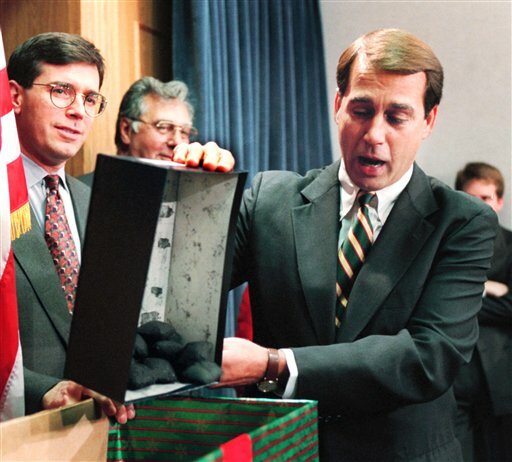 You have to wonder, though, why Rep. Rahall wouldn’t take the baby step of insisting that the Republicans have a bit of a more balanced panel so lawmakers can get the full picture of coal’s impacts on his state and his region. April 14, 2011 by Ken Ward Jr. 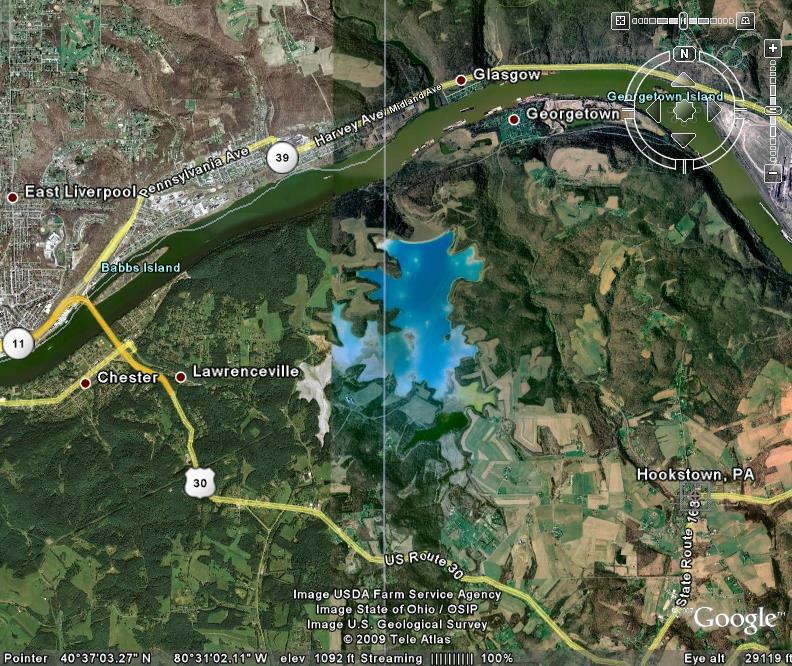 The Little Blue Dam near Hookstown, Pa., is in Pennsylvania, but the associated lake actually crosses the border into West Virginia. Earlier today, the House Committee and Energy and Congress held a hearing on West Virginia GOP Rep. David McKinley’s bill to block the U.S. Environmental Protection Agency from finalizing new rules to protect public health and the environment from toxic coal ash. Ironically, one of the witnesses at the hearing was one of Rep. McKinley’s constituents. Curtis Havens of Chester, W.Va., was with a group of citizens from around the coalfields who traveled to Washington to lobby for tougher restrictions on coal-ash handling and disposal. Good morning, Mr. Chairman and Members of the Committee. My name is Curt Havens and I live in Chester, West Virginia, 1,584 feet from the nearest finger of Little Blue Run unlined coal ash impoundment. Our home is 100 feet below the elevation of the impoundment. In 1974, a Bruce Mansfield representative knocked at our door and handed me and my wife a beautiful laid out plan of a recreational place that would have hiking, bike trails, fishing and a place to spend time with my family. But today that same site is not a beautiful lake, it is a toxic waste dump site called Little Blue. The impoundment is 1300 acres and 400 feet deep in some places. It has a high-hazard dam that, if breeched, would cause loss of human life. We believe the land that God has given us to take care of is being destroyed by this coal ash impoundment since 1975. The smell of rotten egg and sulfur hangs in the air near our homes. And, several of our neighbors are experiencing water gushes on their land and into their springs – water gushes were not there before First Energy began filling the West Virginia side of the impoundment. Here in West Virginia, coal mining isn’t just a way of living – it’s a way of life. It pays bills, lights homes and feeds families, and it also is a binding source of pride for those who work in it, know it, and respect it. I am one of those proud West Virginians – I always will be. And I will always fight for our miners, our jobs, and our economic future. West Virginians are well aware of the big showdown in Congress that pits the Environmental Protection Agency and rules on greenhouse gas regulations against the interests of our coal miners. This battle among the EPA, coal and energy companies, Congress, the President, and our entire state delegation is on the front page of papers. Recent votes in Washington have not settled the issue but, when taken together, show that there is a path forward. For as long as I have been in the Senate, I have fought for coal miners – for their safety, their health care, their retirement, and their jobs. We have stood shoulder-to-shoulder on the front lines of some pretty tough fights – during which I have always focused on practical solutions and a willingness to engage head-on those who oppose us. For me, today’s battle involving the EPA is no different. April 11, 2011 by Ken Ward Jr. It sounds like the budget deal late Friday night averting a government shutdown went through without policy riders concerning climate change and mountaintop removal regulation by the U.S. Environmental Protection Agency. 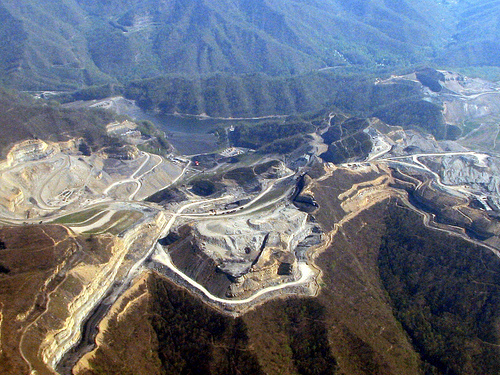 Obama’s mountaintop removal crackdown among the sticking points in Washington budget showdown? 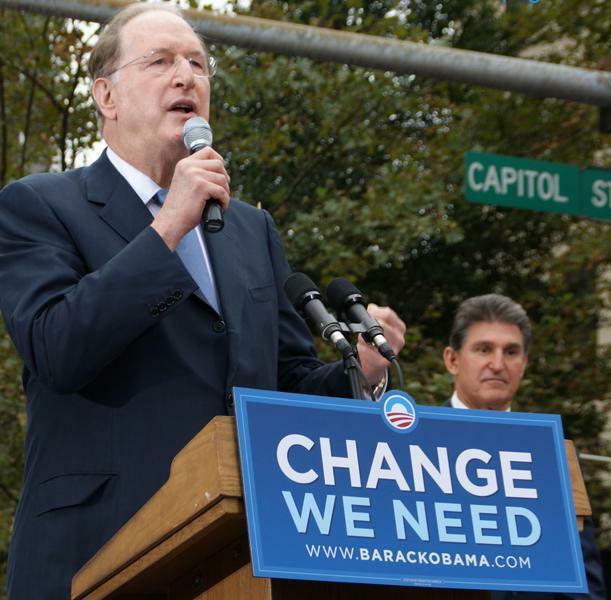 April 8, 2011 by Ken Ward Jr.
Senate Budget Committee Chairman Kent Conrad (D-N.D.) said Friday morning that provisions on mountaintop-removal coal mining are among the sticking points in the down-to-the-wire federal spending-bill talks. “Curiously enough, mountaintop mining was put on the table late in the game. 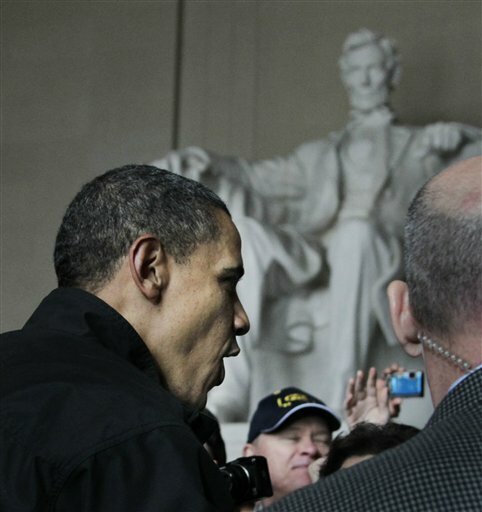 Who knew that was going to lead to the shutdown of the federal government?” Conrad said on CNN. … Much of the discussion of environmental issues in the federal spending fight has focused on GOP plans to blocking funding for implementation of Environmental Protection Agency climate change rules. But Conrad’s comment suggests that other environmental matters are dividing the sides. The House GOP’s fiscal year 2011 spending plan, approved in February, included several provisions to thwart what Republicans (and some Democrats) call burdensome restrictions on Appalachian coal-mining. The GOP plan to fund the government through September included Rep. Morgan Griffith’s (R-Va.) amendment that blocks funding for EPA’s effort to toughen water quality protections for Appalachian coal-mining projects. It also contained a separate amendment by Rep. David McKinley (R-W.Va.) that would hinder EPA’s ability to block Clean Water Act permits for mountaintop-removal projects; and Rep. Bill Johnson’s (R-Ohio) amendment that would prohibit the Interior Department from using fiscal year 2011 money to develop rules governing protection of streams from mountaintop-removal mining waste. Senate Democrats briefed on a potential budget deal say that Republicans have agreed to drop House-passed provisions to block the Environmental Protection Agency from issuing new rules on global warming or enforcing several other environmental regulations. … Such policy issues dropped from the measure include a ban on new greenhouse gas restrictions on power plants and oil refineries, cleanup plans for the Chesapeake Bay and lakes in Florida, and blocking the agency from revoking permits for mountaintop mine sites that pollute rural waters. April 7, 2011 by Ken Ward Jr.
Today’s hearing before a House Natural Resources subcommittee was titled, “Effect of the President’s FY-2012 Budget and Legislative Proposals for the Office of Surface Mining on Private Sector Job Creation, Domestic Energy Production, State Programs and Deficit Reduction“. I couldn’t tell from the Webcast, but it looked like the Democrats didn’t even bother to show up. And gosh, you would think that Rep. Bill Johnson, R-Ohio, would have learned somewhere along the way to let someone else finish a sentence once in a while. The whole thing almost made me feel a little sorry for OSMRE Director Joe Pizarchik … almost. Because let’s face it, his agency is just taking its medicine after leaking that draft Environmental Impact Statement on the stream protection rule and then declining to go on the offensive about some of the possible benefits in terms of reduced environmental damage, well, does anybody really think OSM is handling this whole thing very well? Even Joe Lovett of the Appalachian Center for the Economy and the Environment and Gene Kitts of International Coal Group agreed that the buffer zone rulemaking has become a fiasco. If the issues underlying all of this weren’t so serious, you could almost laugh about how transparent the GOP’s efforts were in setting up and then carrying out this hearing. April 6, 2011 by Ken Ward Jr. The U.S. Senate just voted down — by a count of 88-12 — the latest effort by Sen. Jay Rockefeller, D-W.Va., to delay any EPA action to deal with global warming. I’m convinced that my approach to stopping the EPA in its tracks is the best idea on the table to protect the mining industry. We need a timeout on EPA regulations right now, and I don’t understand why Republicans are saying they will block what we’re trying to do just to score a point against the White House. If that happens, it’s a shame. The plan I have for blocking the EPA will protect West Virginia, allow miners to keep their jobs, and is reasonable enough that it can become law. None of the other plans have any chance of that. We ought to put aside bickering and agree on a plan that offers real solutions and good outcomes. As we’ve discussed before here on Coal Tattoo, Sen. Rockefeller’s version of these events is that the coal industry and utilities need more time to perfect and deploy carbon capture and storage equipment … but there’s plenty of evidence that what is really keeping CCS from moving forward is the lack of a comprehensive climate and energy plan that puts a price on greenhouse gas emissions by requiring cuts in those emissions. See previous posts here, here, here and here. Why won’t Democrats ask MSHA tough questions? 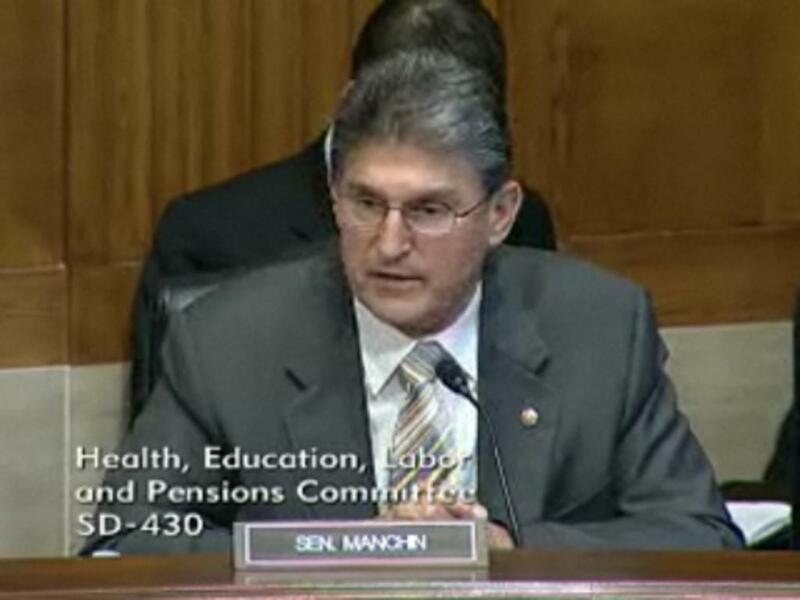 April 1, 2011 by Ken Ward Jr.
During yesterday’s Senate committee hearing on the Upper Big Branch Mine Disaster, I tried to follow the questions being asked by West Virginia Sen. Joe Manchin. I swear I did. Do you believe that it is time to basically have one agency doing training and one agency doing inspection? Everyone is trying to do everything and I am sometimes finding out that we are not doing either one as well as we could or should. If I have state law, and I have our inspectors, and we’re going out there because we live there, that’s us. We’re right there every day. Do we have primacy over that or does the federal have primacy? I guess I shouldn’t pick on Sen. Manchin … it’s not like other Democrats at yesterday’s hearing really asked very good questions either. As with an earlier House hearing, the Democrats seemed more interested in protecting their party’s appointee to run MSHA than in doing any real oversight of the agency. Democrats don’t want to press MSHA chief Joe Main about audits that showed continuing enforcement lapses at his agency or about why MSHA never bothered to use one of its toughest new tools — flagrant penalties of up to $220,000 per violation — to try to force Massey to clean up its act at Upper Big Branch before the mine blew up. The Democrats aren’t pressing Joe Main about his continued secrecy, either. They aren’t pushing for the release of those MSHA audits or for key ventilation records about Upper Big Branch that might shed some light on how well MSHA was doing its job prior to the disaster. Gosh, there are so many questions that the Democrats could have asked that would have helped clarify what MSHA has and hasn’t been up to over the last year. Somebody might have bothered to ask MSHA the status of two key rulemakings for example … MSHA had promised it would publish both a proposed rule on civil penalties and an emergency rule on proximity devices by yesterday … Neither of those things seems to have happened, and nobody in Congress seemed to even notice. As we reported in today’s Gazette, the Democrats silence leaves it to the Republican lawmakers to ask MSHA the tough — and important — questions about whether MSHA really did use all of its tools to prevent those 29 miners from dying in a horrible explosion on April 5, 2010. For folks who care about coal-mine safety, the problem with the Democrats sitting back and letting the GOP grill MSHA is that it allows the Republicans to turn the discussion away from just talking about whether agency officials are doing their jobs. Instead of that, the Republican committee members to advocate a different agenda. Taxpayers have spent thousands of dollars training MSHA inspectors to identify serious, life-threatening hazards and uncover malfeasance. Why do we send them around to the safest mines on the planet multiple times a year to write citations for unflushed toilets and trash can lids that are ajar? Part of the Republican agenda (and the industry agenda) here is to find a way to get Congress to eliminate or at least greatly weaken the requirement that all mines must be periodically inspected. They favor an approach for “focused” inspections, as with OSHA, where some workplaces go without a federal inspection for years. And of course, the Republicans want to use any chance they can to attack President Obama’s policies on coal, and to deride any new regulations, no matter how urgently their needed. Beginning six months after the operative date of this title and from time to time thereafter, the Secretary of Health, Education, and Welfare shall establish, in accordance with the provisions of section 101 of this Act, a schedule reducing the average concentration of respirable dust in the mine atmosphere during each shift to which each miner in the active workings is exposed below the levels established in this section to a level of personal exposure which will prevent new incidences of respiratory disease and the further development of such disease in any person. Underlying all of this, of course, is also the GOP desire to avoid passage of any new mine safety legislation — and the Democrats belief that such legislation is needed. What is kind of maddening here is that some of the Democrats, when they think about it, have a pretty decent argument to respond to the GOP with. Some commentators have suggested that there is a dichotomy in Congress between those who believe that MSHA needs expanded powers, and those who believe that MSHA has all the powers it needs but just isn’t using them effectively. I think that’s exactly the wrong way to look at the issue. The question is not: did or didn’t MSHA have the tools to prevent Upper Big Branch. The question is: what do all of us need to do to prevent the next disaster? I have never believed that either MSHA needs to fix the regulatory process or we need to pass new mine safety legislation. That is a false choice. Instead, we need to both improve the regulatory structure and pass legislation to improve mine safety. The problem is, none of this really came out in the hearing, mostly because the Democrats didn’t want to pick on Joe Main and the Obama administration. March 31, 2011 by Ken Ward Jr.
Today’s Senate committee hearing on coal-mine safety has started, and you can watch it live here. In the meantime, I’ve reviewed the prepared testimony submitted by MSHA chief Joe Main and by the Labor Department Inspector General, Elliott P. Lewis. Frankly, there’s not a tone of news in there. Main recounts his agency’s efforts to beef up enforcement since the Upper Big Branch disaster, and repeats his call for more mine safety legislation. Lewis mostly goes over previously released findings about MSHA’s failure to ever use the Pattern of Violations enforcement tool. Mr. Chairman, our oversight work in the area of mine safety and health continues. We currently have one audit in progress to determine whether MSHA effectively and timely collects final civil penalties from mine operators. In the near future, we plan to assess whether MSHA’s laboratories are providing timely and quality services in support of MSHA’s inspection and investigative responsibilities. We will also audit MSHA’s oversight of miner training. In addition, we plan to audit MSHA’s Metal/Nonmetal mandatory inspections. That probe about MSHA’s penalty collections sounds especially interesting to me, in part because of some stories I did a few years ago, in which I revealed that MSHA had not even bothered to assess monetary fines — as it is required to do by law — on quite a few coal industry violations. Federal regulators have allowed mine operators to avoid fines for thousands of health and safety citations, despite a federal law that requires monetary penalties for such violations, government officials have confirmed. Over the last six years, the Department of Labor’s Mine Safety and Health Administration did not assess civil penalties for about 4,000 violations, according to preliminary MSHA data. 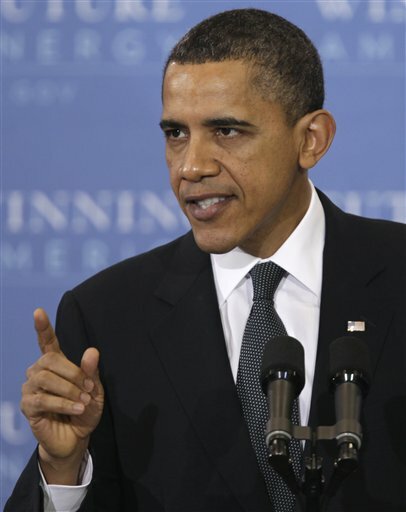 Curb on EPA mining oversight in spending deal? March 30, 2011 by Ken Ward Jr. UPDATED: Politico is reporting that the White House has voiced its opposition to these riders being in the budget language. For folks following the mountaintop removal issue, the latest Associated Press report on the ongoing budget talks between Congress and the Obama White House had a couple of important paragraphs. A Democratic lawmaker familiar with a meeting Wednesday between Obama and members of the Congressional Black Caucus said the administration made it clear that some House GOP proposals restricting the Environmental Protection Agency’s regulatory powers would have to make it into the final bill. In order to characterize the White House’s position, the lawmaker insisted on anonymity because the meeting was private. Some of those proposals would block the government from carrying out regulations on greenhouse gases, putting in place a plan to clean up the Chesapeake Bay and from shutting down mountaintop mines it believes will cause too much water pollution. March 25, 2011 by Ken Ward Jr.
WASHINGTON, D.C. – Thursday, March 31 at 10:00 A.M., Senate Health, Education, Labor and Pensions (HELP) Committee Chairman Tom Harkin (D-IA) will convene a hearing to look at progress the Mine Safety and Health Administration (MSHA) has made in improving worker safety since the tragic explosion on April 5, 2010, that claimed the lives of 29 miners in West Virginia, and identify steps Congress can take to further strengthen protections for mineworkers across the country. 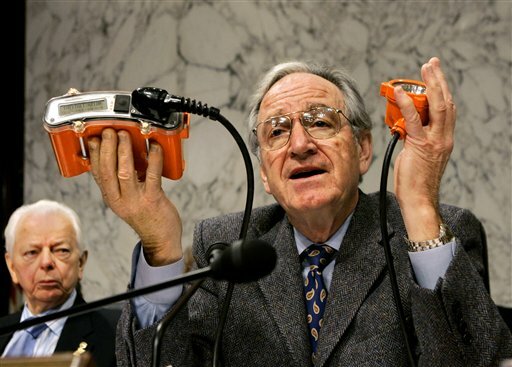 As Chairman of both the HELP Committee and the Appropriations Subcommittee on Labor, Health and Human Services and Education and related agencies, Harkin has focused substantial attention on efforts to improve safety at mining workplaces. “The awful tragedy at the Upper Big Branch mine shined the national spotlight on a dangerous culture of disregard for the law among some mine operators who put profits over workplace safety. Unfortunately, this culture had been allowed to thrive for years without effective action by MSHA to target these bad actors. In the year since the Upper Big Branch disaster, MSHA has taken vital steps to improve oversight of unsafe mines. I look forward to hearing from regulators to review what they have done and what additional tools they need from Congress to make sure that a disaster like this one never happens again.” said Harkin.